Santorini, Greece. 05.05.2014. 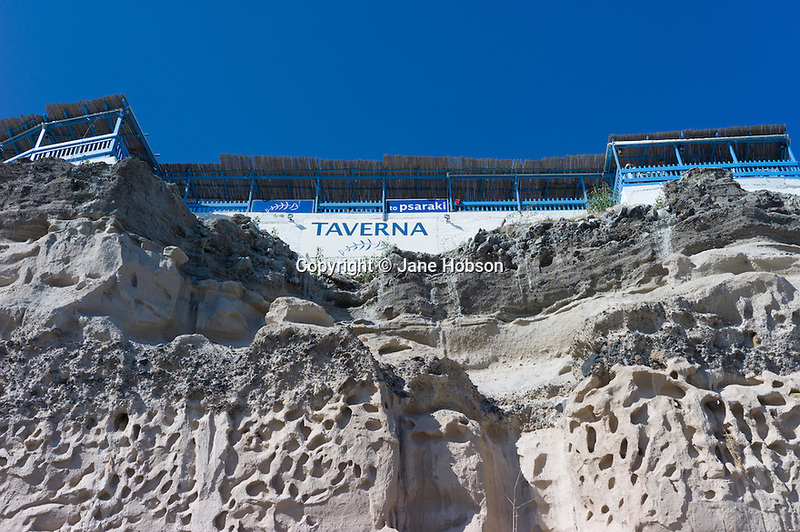 Taverna To Psaraki, at the top of the cliffs, overlooking the harbour, Vlychada, Santorini, Greece. Photograph © Jane Hobson.